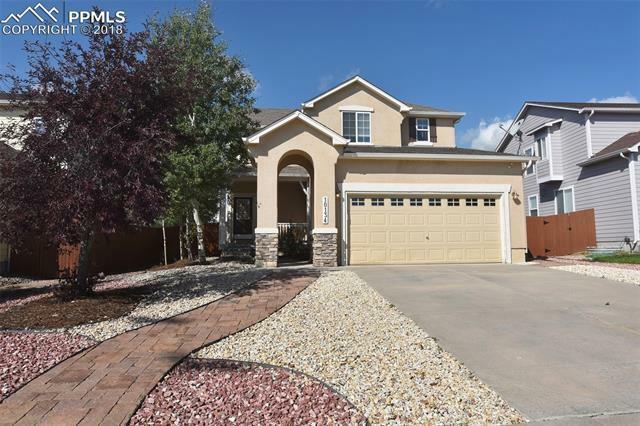 This charming, move-in ready 4 bedroom home in Meridian Ranch with finished basement & beautiful yard backing up to a park will be hard to resist! A tiled entry with 2-story ceiling & chandelier leads into the sunny great room with stone-faced gas fireplace & custom built-in entertainment center. A beautiful tiled floor sets the island kitchen & spacious dining area apart, with walk-out to gorgeous backyard. The sunny upper level master offers a coffered ceiling, his-n-her closets with cedar flooring, 5-piece bath & more.